What? A post on Sunday? What could be the reason for the momentous occasion? Why, it's the day that I've been not so patiently waiting for the last ten freakin' months. Books have been re-read, episodes have been re-watched. All in preparation for tonight's big season 5 premier of Game of Thrones! Unlike so many other book readers, I'm actually excited that there will be book spoilers this season. Don't get me wrong - I freakin' love the books, but I want to know where the story is going! Plus I know that even with some spoilers, I will enjoy the upcoming books, whenever they finally come out. 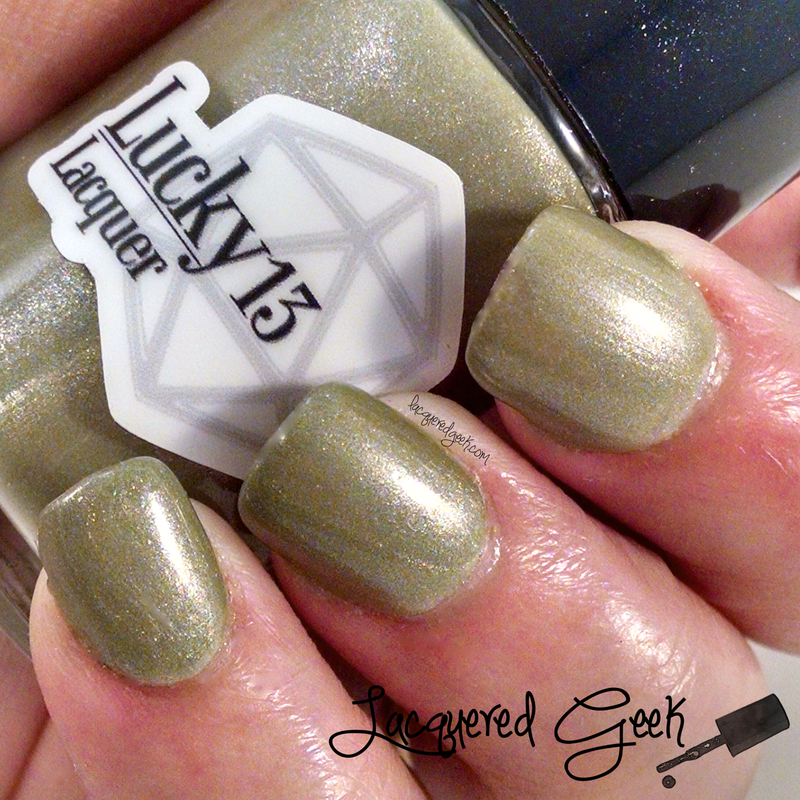 In honor of this glorious day, I want to share some of my favorite polishes inspired by Game of Thrones. If you haven't read the books or watch all of season 4, you may want to just look at the pretty pictures, I might type a spoiler or two. 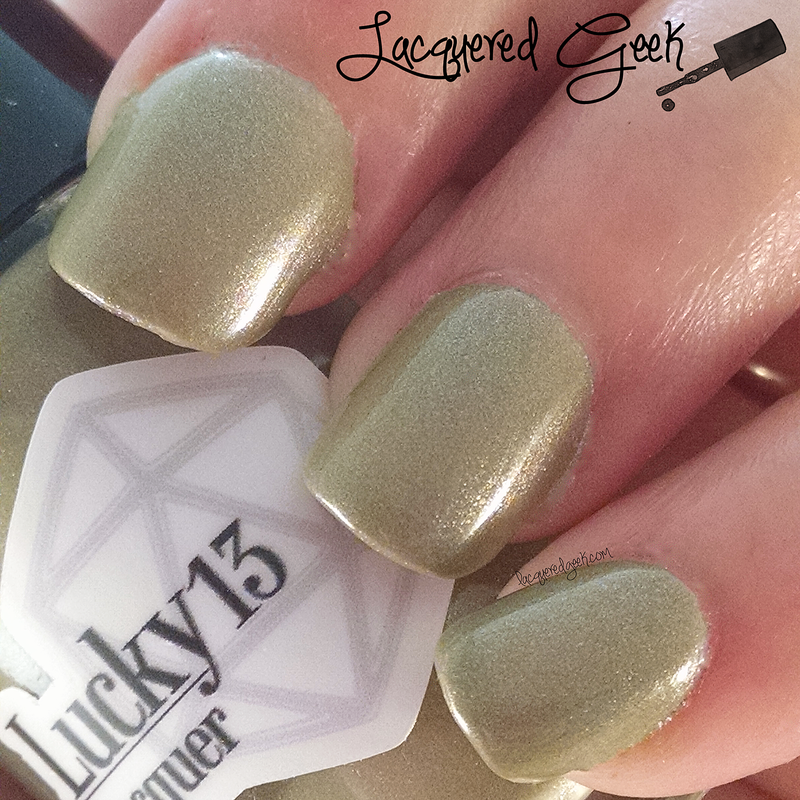 Inspired by our favorite Halfman, Lucky 13 Lacquer Never Forget What You Are is a light olive green with a strong gold shimmer. Tyrion is probably one of my favorite characters. How can you not root for someone who is hated by almost his entire family, has the worse luck in love, and can out drink men three times his size? And he's a killer with the crossbow! 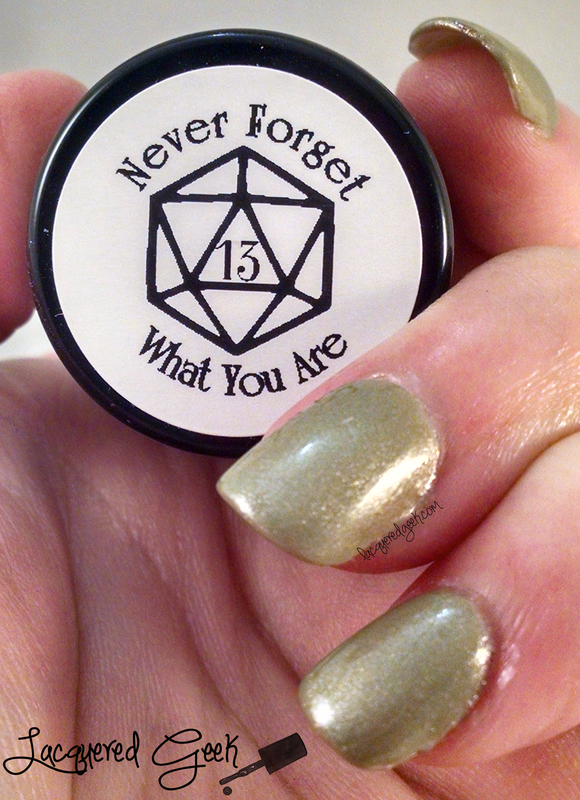 I'm wearing two coats of Never Forget What You Are with a top coat. 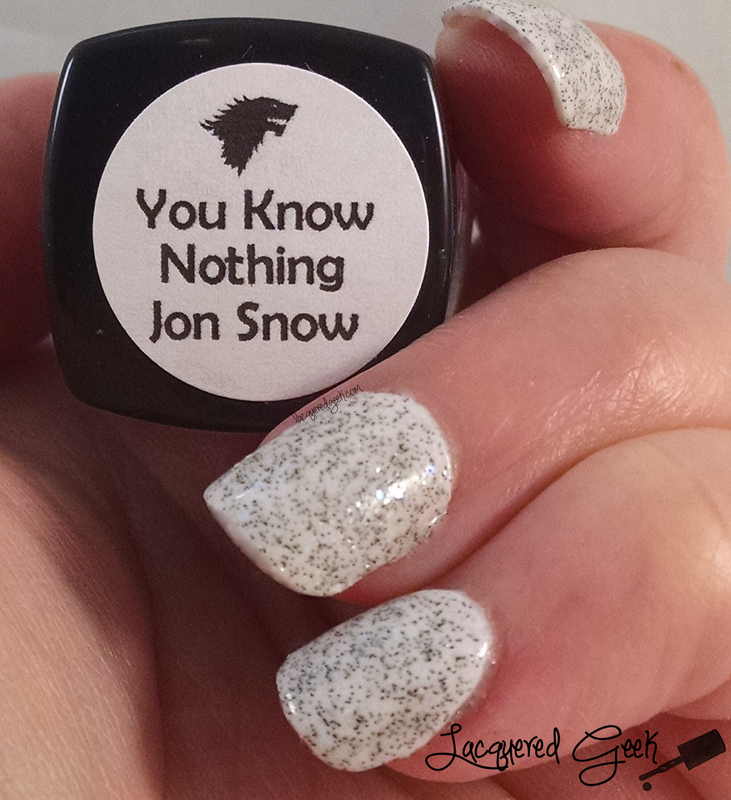 Dollish Polish You Know Nothing Jon Snow is a white crelly with silver and white microflakes, blue and green iridescent glitters, and black microglitters. 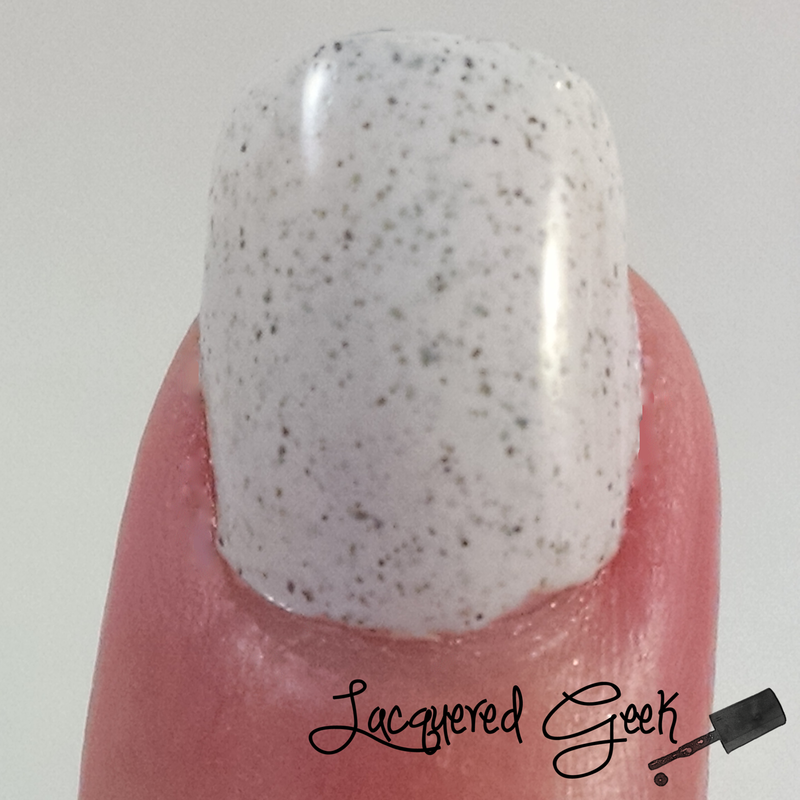 I had initially planned to wear this on its own but the first coat was so sheer, I decided to wear just one coat over a white base. I have to admit as much as I loved the relationship between Ygritte and Jon Snow, the "you know nothing" thing got old. 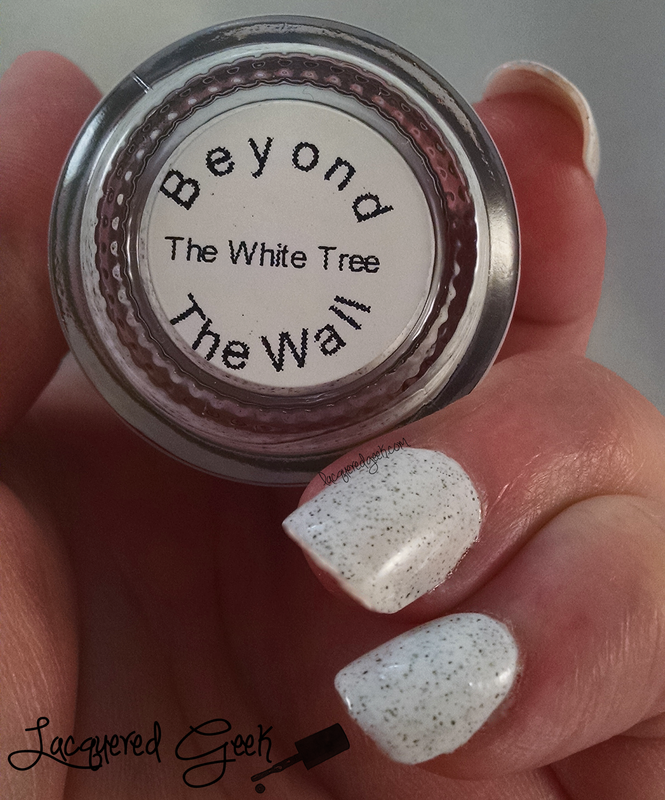 Pahlish The White Tree is a white cream with gunmetal and black microflakes. 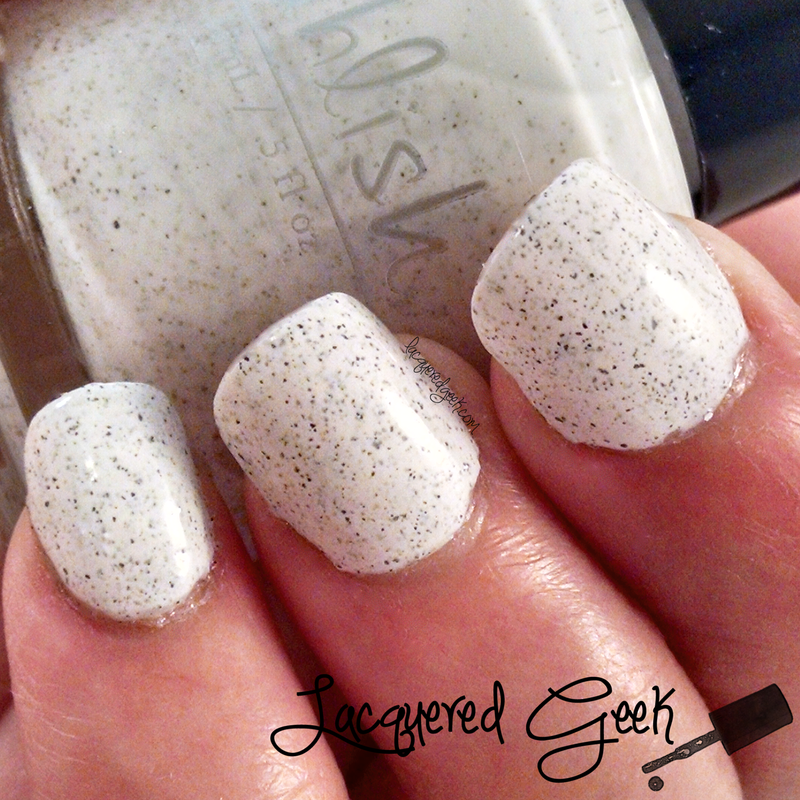 The look was very similar to You Know Nothing Jon Snow over white, minus the iridescent glitters. 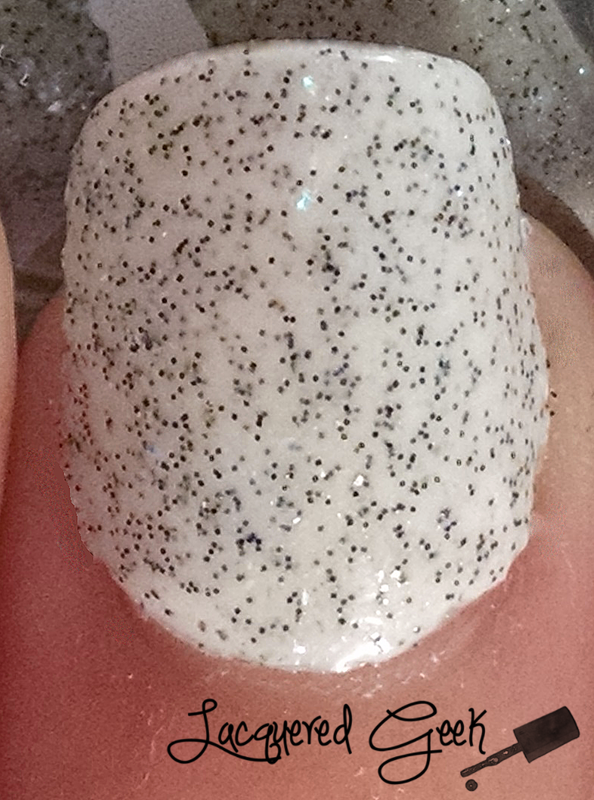 Since the microflakes are mixed into the polish, they are a little more subtle. I am wearing two coats with a top coat for these photos. 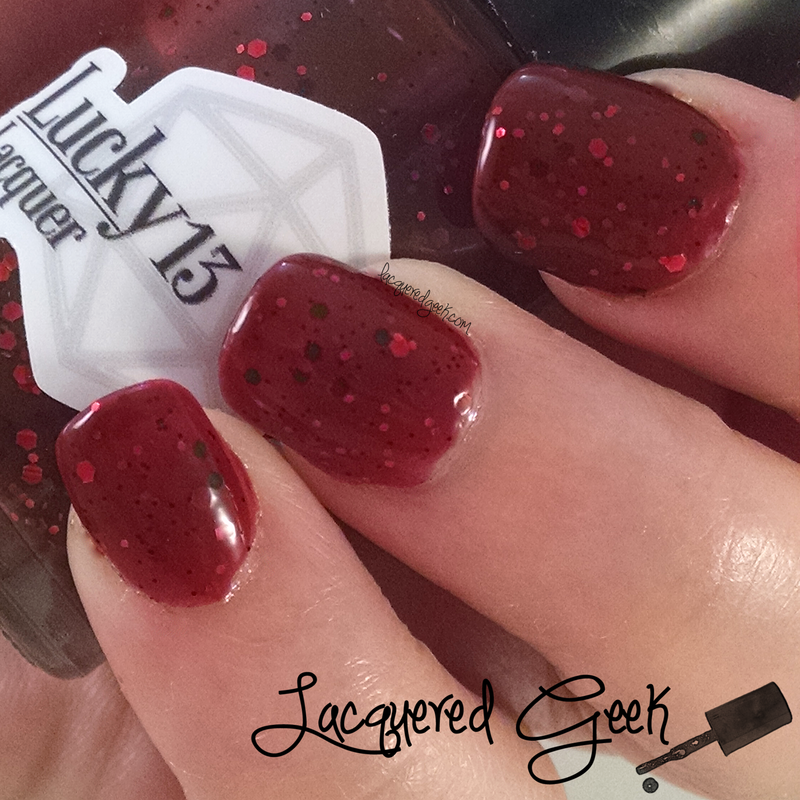 Finally, we have Lucky 13 Lacquer Valar Morghulis. If you had to use 2 words to sum up the Game of Thrones series, it would be Valar Morghulis ("All men must die") - be it the villainous boy king, patriarch of a family, handsome prince, or pretty much any of your favorite character! 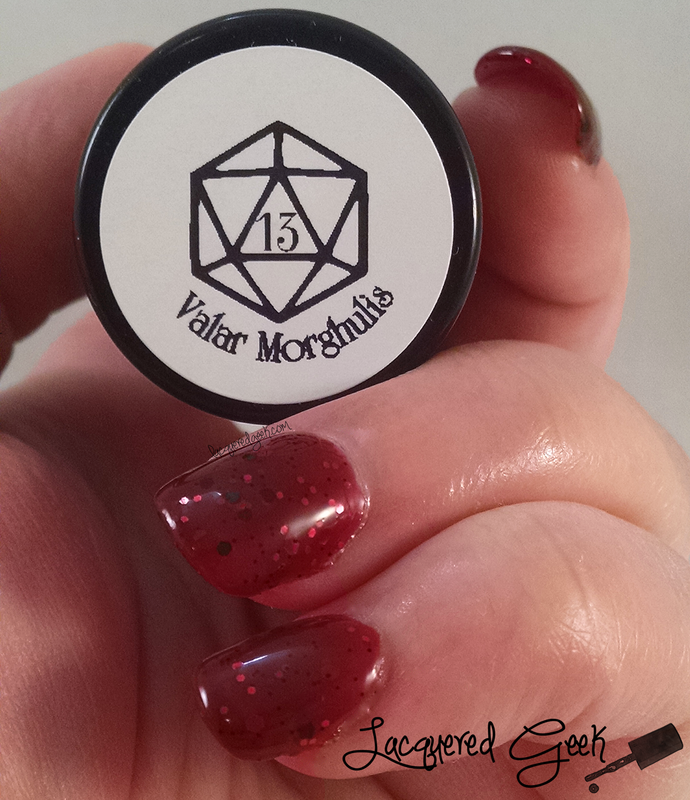 Valar Morghulis is a blood red jelly with various sized red and black glitters. 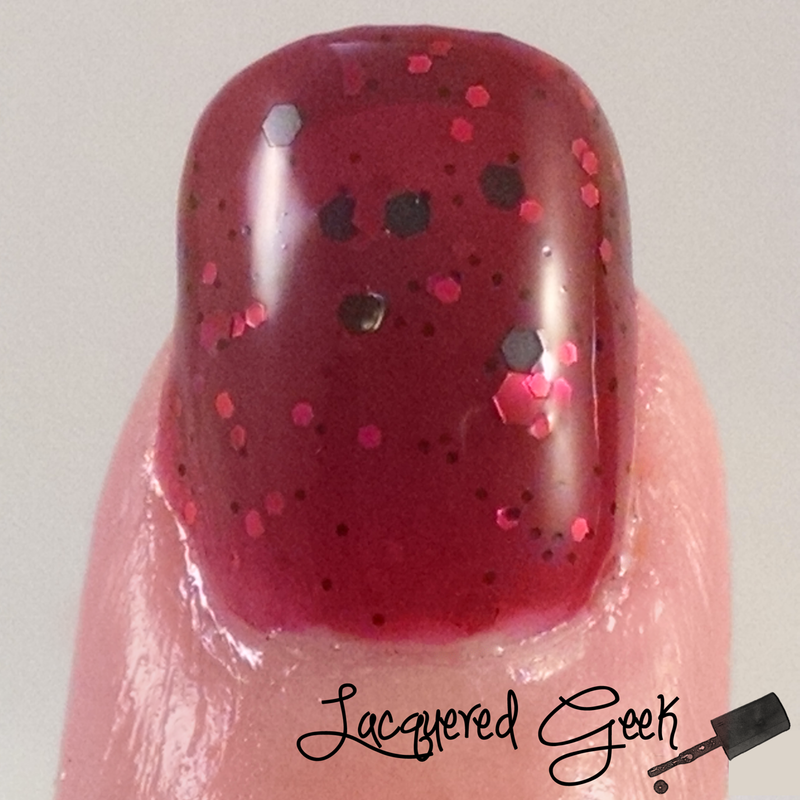 This polish is just exploding with gorgeousness! It's probably one of my absolute favorite reds! 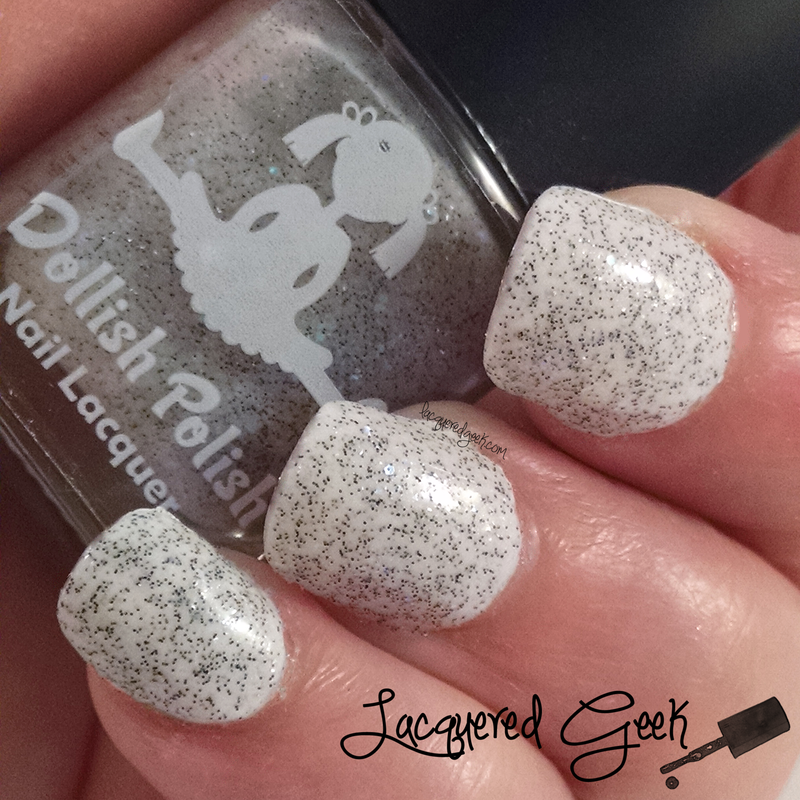 Do you have a favorite Game of Thrones inspired polish? What do you think of my choices? So have I gotten you excited for tonight's premier yet? I hope so!! If not, maybe Tyrion can!